Check Out Jason Reitman’s Amazing Trailer for ‘Labor Day’!!! I just love the films Jason Reitman has directed. He did ‘Juno‘, ‘Up in the Air‘, ‘Thank You For Smoking‘, and ‘Young Adult‘. Needless to say, he knows what he’s doing, as his father Ivan Reitman has passed down a great gift to him. His next film ‘Labor Day‘ looks incredible. 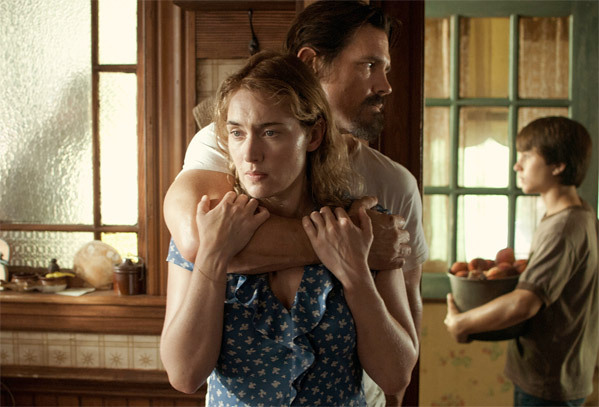 It stars Josh Brolin and Kate Winslet, and is an adaptation from the Joyce Maynard novel. The film centers on Winslet, who is a divorced single mother of a 13 year old boy. She is scared to leave the house, but when they goto the market one day they meet a guy (Brolin), who persuades them to take him in. But his secret is that he’s an escaped convict for murder, but Winslet and her son end up falling for him. It looks amazing. I can’t wait. The film will be released January 31. ‘Labor Day’ Interview with Joyce Maynard and Gattlin Griffith!! Learn About Jason Reitman’s New Film ‘Labor Day’!!! This entry was posted on Thursday, October 31st, 2013 at 12:11 pm	and is filed under Film, News. You can follow any responses to this entry through the RSS 2.0 feed. You can skip to the end and leave a response. Pinging is currently not allowed.